Mike and I have been having so much fun this week, coming together and reliving those crazy first few years of our ever-evolving gluten free life for our new Gluten Free 101 series. Hindsight is always 20/20, no? Quite frankly, it has been refreshing to see him realize the difference between “cooking for the family” and “cooking for the blog.” I admire his newbie “blogger” tenacity, but I don’t think he realized how hard/time consuming it would be to photograph a very basic breakfast post in a favorable manner (he is having a great time writing, but I can tell that he is getting tired of me commenting on how bad his fingernails look in the pictures…a metro-sexual he is not!). Keep an eye out for some quick and easy recipes (and Mike’s hilarious commentary) over the coming weeks…but for now, here is this week’s menu plan! Crockpot Teriyaki Chicken (just be sure to use gluten free soy sauce). 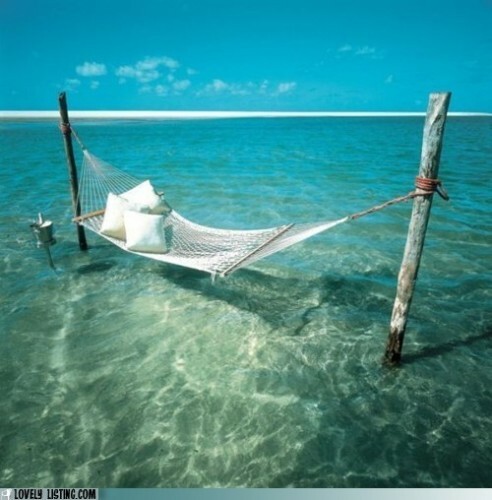 Umm..can I please join you on that beach in my own hammock? If so, I better get on the ball and get Kurt into the kitchen! By the way, I cannot wait to see some of these pictures that Mike has been taking. 😉 And I so remember those early newbie days of blogging. I wish I still had some of that tenacity! Thanks so much for linking up to my Drunken Chicken, girlie!! Yeah, I'm coming too! You rock Heidi.